KHS Alite 1000 1995 - 1997 derailleur hanger 6061 T651, made with CNC technology. Black anodized. Lighter and more durable than the hanger series. KHS Alite 1000 2001 derailleur hanger 6061 T651, made with CNC technology. Black anodized. Lighter and more durable than the hanger series. KHS Alite 2000 1998 - 1999 derailleur hanger 6061 T651, made with CNC technology. Black anodized. Lighter and more durable than the hanger series. KHS Alite 3000 year 2000 derailleur hanger 6061 T651, made with CNC technology. Black anodized. Lighter and more durable than the hanger series. 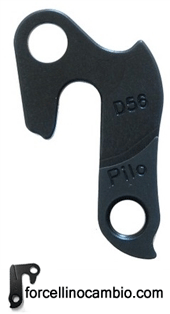 KHS Alite 500 1998 derailleur hanger 6061 T651, made with CNC technology. Black anodized. Lighter and more durable than the hanger series. KHS DH Team 2013 aluminum derailleur hanger 6061 T651, made with CNC technology. Black anodized. Lighter and more durable than the hanger series. 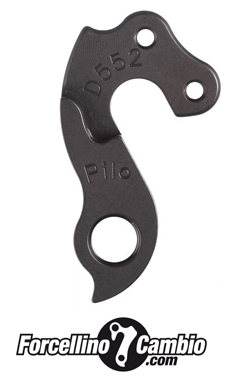 KHS 2007 flite 750 (K75) derailleur hanger 6061 T651, made with CNC technology. Black anodized. Lighter and more durable than the hanger series.